MoonStock Beer Festival is in it’s 5th year now and has been providing real ales, real food, real music and a real good time for people who like the festival atmosphere in a Pub. They usually have around 30 Real Ales from around the South West, Hog Roasts, BBQ’s and the best bit…entry is free! 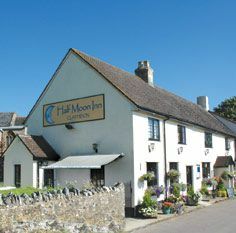 Taking place at the Half Moon Inn, Clayhidon, nr Cullumpton, the pub has good transport links – with the M5 close by as well as Taunton and Honiton train stations. The area is a Mecca for walkers & cyclists and there are many lovely walks and footpaths passing near to the pub as well as plenty of camping facilities nearby. The Blackdowns AONB straddles the Devon/Somerset border and the M5 and A303 skirt the north and south which has allowed the area to remain largely unspoilt.The area is an agricultural plateau dotted with villages and hidden valleys.